Life with Lesley: New COTT Winner! A new COTT winner has been revealed! Tina Pinson! Woo Hoo! Yeah! Way to go! 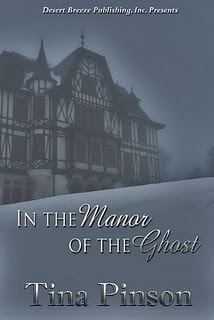 Tina's excerpt from her book In the Manor of the Ghost, beat out her competitor (DeAnna Julie Dodson's In Honor Bound) with a 56% to 44% vote. Such close results tell us ya can't go wrong with either title, but Tina's did indeed "take the cake". Congratulations are in order to the newest Conqueror at Clash of the Titles. Hip-hip, hooray! Hip-hip, hooray! Jean Marc stood in the upstairs window holding a bundle. Kaitlin knew, with another slice to her soul, the bundle was Simone. Jean Marc, so quiet, protective, so uneasily riled, yelled. Tormented wails for help rose along with tears of anguish and fear as angry flames licked out behind him. For the full excerpt, click here. * This would be my worst nightmare! * Both excerpts were really gut wrenching and had me in tears. So what did she think of her visit to COTT? "Thanks for letting me do battle here. Not quite so bloody as other arenas. I was honored to be a warrior on Clash. I loved the excerpt from my opponent." Like those before her, Tina exhibits the graciousness and sportsmanship that has come to define the COTT family. She fits right in. And that's something she hasn't always known. Growing up Tina was one of five siblings—the only blonde. Though her sisters often joked that she must have been adopted (all in fun), there's no teasing here. COTT's next Clash begins Monday with Romantic Moments. Head over there to vote and enter the free book drawing. Get ready to swoon! 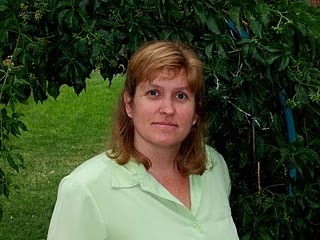 Article by Michelle Massaro, COTT Assistant Editor.